Learn how to find which library databases are the best for searching on your topic and how to use the databases to your advantage--saving you time and energy! 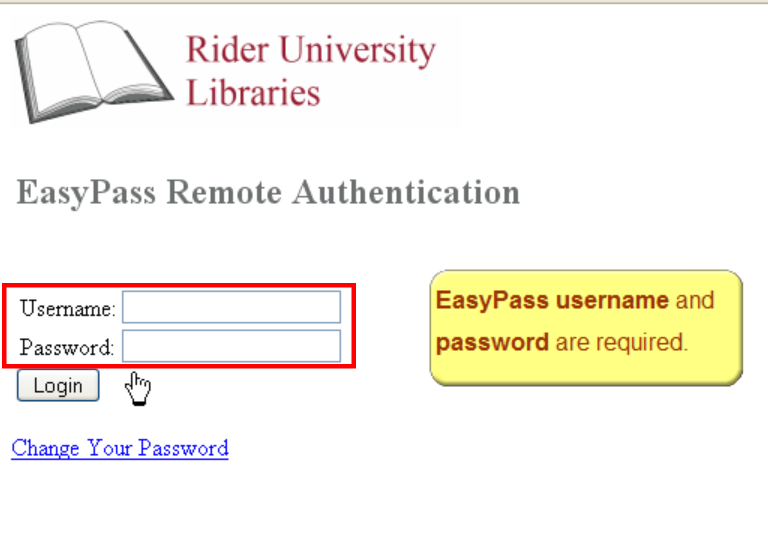 When you are off-campus, you will need to authenticate as a current Rider University student, faculty, or staff member in order to access our subscription databases. When you click on a database link from the library homepage, you will be brought to the authentication page. Enter your EasyPass ID and password (the same credentials you use for logging into Canvas.